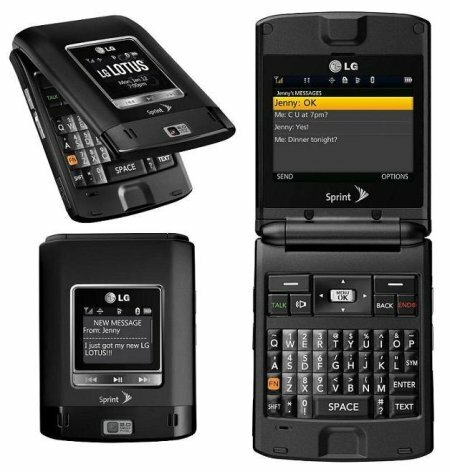 If you’re one who prefers form over function, I am pretty sure the LG Lotus cell phone will catch your eye. After all, this is one handset that is the result of a love affair between LG Electronics and fashion designer Christian Siriano. In case that name sounds rather familiar to some of you, that’s because Christian Siriano is the winner of season IV of the reality show known as Project Runway. LG Lotus will be available for preview at the New York City Fashion week from today onwards, aiming to elevate the humble cell phone as some sort of fashion accessory. I thought that place was already taken up by the iPhone 3G, so will this be the new king of the hill? The LG Lotus is a Sprint exclusive, so those of you who want a piece of the action might have to jump ship if you’re currently attached to a different subscirber. The LG Lotus definitely makes a “distinctive fashion statement”, featuring a full QWERTY keyboard that comes in a clamshell form factor. It takes on a special square shape and will be available in a couple of colors – textured purple or satin black. This will also be one of the initial Sprint devices that boast One Click, a highly-customizable user interface that aims to make texting, Web access, email, Sprint Navigation, Sprint TV, Sprint Music Store and other features a whole lot easier to access. Just in case you’re wondering whether the international design community thinks this is up to par to go against your thinking that the Lotus is but one man’s wild dream, it has already picked up the Red Dot Design Award, which coincidentally is one of the largest and most renowned design competitions in the world by virtue of the Lotus’ original form factor. Other features that complete this clamshell phone are a 2 megapixel camera with video recording capability, stereo Bluetooth connectivity, music playback with external controls and a microSD memory card slot that is able to handle up to 12GB of storage space. It will hit all Sprint retail channels this October.